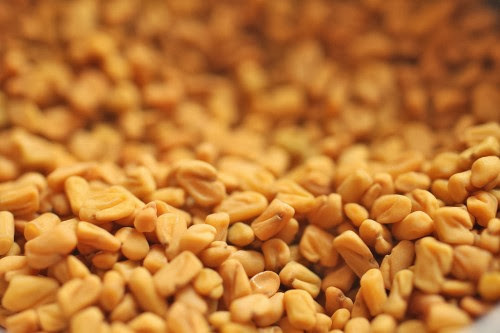 After months of trying different Fenugreek versions…I think that the best Fenugreek recipe for my hair is achieve by just using the Fenugreek seeds instead of the powder. 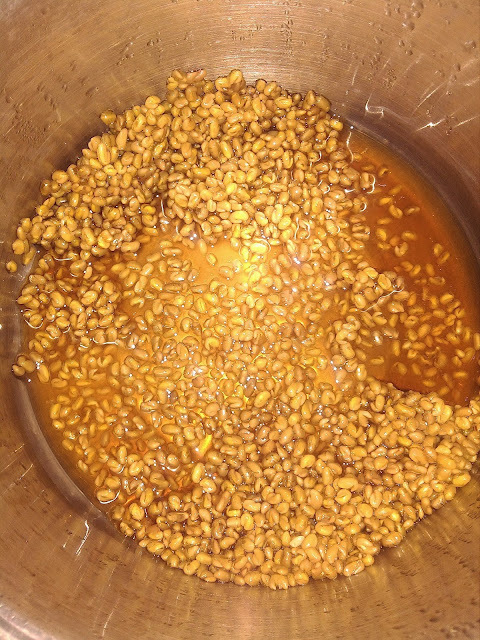 Fenugreek isn't the easiest to rinse out, but I noticed that the easiest for me by far was when I actually blended up the Fenugreek seeds instead of using the powder. I'm not really sure why but it rinsed/shampooed out relatively easy when compared to the other methods that I've used. Place the water into a pot…then when a rolling boil is reached pour the Fenugreek seeds into the boiling water. Stir and continue boiling for approximately another 10-15 minutes. Remove the pot from the heat then let sit over night…a mucus will form over night in this mixture. Mucus provides the hair with a great detangling slip as well as a nice shine. Next, take the mixture and place it into a blender. I blended for about 3 minutes…just make sure all seeds are blended well and a fine mixture is formed. I coated my dry hair with virgin cold pressed coconut oil then generously applied the Fenugreek mixture to my hair in layers. I cover my hair with a plastic bag…this keeps moisture in my hair during the conditioning process. After about an hour I rinse or lightly shampooed the mixture out of my hair. SO HAVE YOU TREID FENUGREEK YET? IF SO WHAT WHERE YOUR EXPERIENCES?